Vicente is a young pianist resident in Brussels, where he studies Piano Master in Koninklijk Conservatorium Brussel with the great pianist Boyan Vodenitcharov. 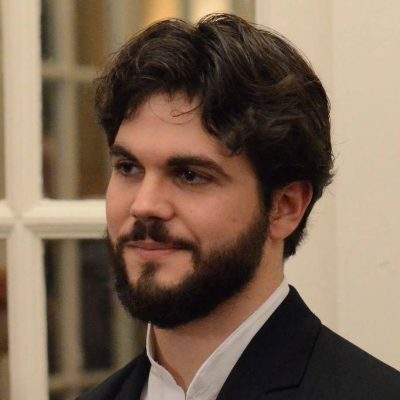 He has recently been awarded the following distinctions in international competitions: 1st Prize in “II Clamo Music International Piano Competition” (Spain, 2016), “XVI Maria GiubileibInternational Piano Competition” (Italy, 2015), 2nd Prize in “III International Piano Competition Primavera Pianistica” (Belgium, 2016), and Certificate of Merit in “International Competition Coimbra World Piano Meeting” (Portugal, 2016). As for his career, Vicente started his piano studies in his native town (Molina de Segura) and he continued in Murcia, where he finished with High Distinction and Extraordinary Award. During that period he was awarded distinctions in several competitions for young pianists: 2nd Prize in the « VII Mariana Baches Competition » (Alicante, 2008), 1st Prize and Special Prize “Virginia Martínez Fernández” in the « II Villa de Molina Competition » (Murcia, 2010), 1st Prize in the « CPMM Ginés Abellán Competition » (Murcia, 2010) and 1st Prize in the « III Villa de Molina Competition » (Murcia, 2010). In June 2010 he was accepted at the Manuel Masotti Littel Conservatory of Music in order to complete his Bachelor studies with professor Pilar Valero Abril, who was decisive in his education. 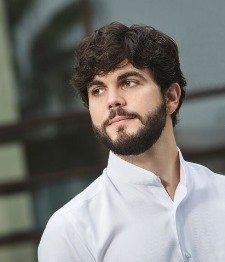 He finished the Bachelor in June 2015 obtaining “high distinction” in all the courses and he received a scholarship that allowed him to participate in the « Internationale Sommerakademie » of Mozarteum University in Salzburg. During the academic year 2011-12 he attended the Schola Cantorum in Paris and subsequently in Coimbra to complete advanced studies with Professor Aquiles Delle Vigne, from whom he continues receiving lessons at present. During that period, he participated in the recording of a CD with works by F. Chopin, he took part in a live recital broadcast by Radio Nacional de España (June 2011) and he began to collaborate with the Murcia Symphonic Orchestra, which allowed him to get to know another exciting piano facet that he continues developing at present, broadening his vision of music and receiving advice from great conductors. In April 2013 he performed the Concerto n. 2 of S. Rachmaninov as soloist with the Elche Symphonic Orchestra conducted by Leonardo Martínez. Recently, he has received the 2nd Prize at the 91st edition of the International Competition Leopold Bellan (Paris, November 2017), in the 2 pianos/4 hands section together with the pianist Arturo Ruiz, with whom he forms Iberpianoduo.